Linde calls on decades of developing and manufacturing experience to deliver one of the most impressive lines of forklift trucks and warehouse handling equipment in the industry. Linde lifts are synonymous with quality and innovation, delivering the right blend of performance and maximum economy. If you’re looking for a place to shop for new or used Linde forklifts, Chicago Industrial offers a wide variety of competitively priced models for sale in IL, across the region and throughout the world. The quality of Linde forklifts is evident across its line of diesel lift trucks, electric forklifts and warehousing handling machines. Whether you need a piece of equipment for stacking and storage or order picking and transporting materials, you’re sure to find what you need within its extensive range of models. 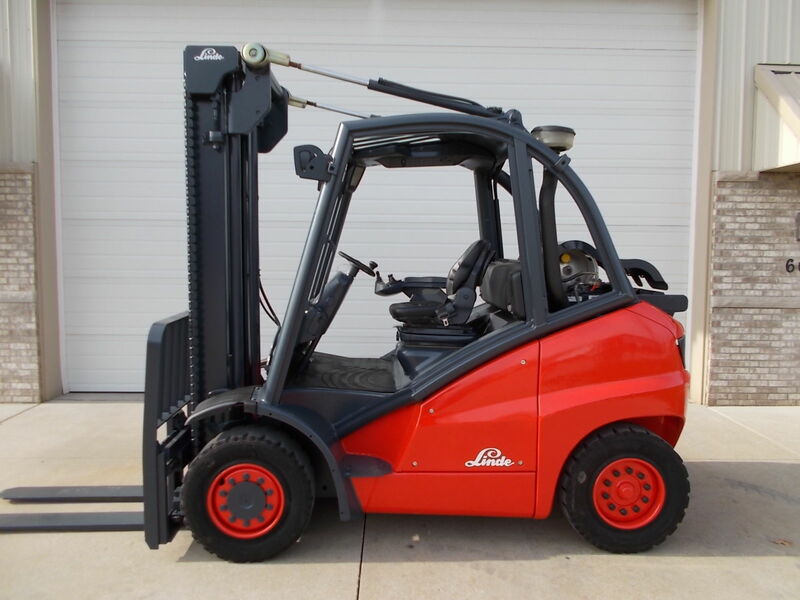 Features that make Linde lifts among the most popular in our inventory include exceptional maneuverability, easy serviceability and impressive fuel efficiency. We serve the material handling needs of companies in the Chicago area and industries across the nation and beyond. When you’re trying to control costs while maintaining productivity, our high-quality used solutions are a great way to go. Our team of expert technicians meticulously restores all of our used Linde forklifts for sale to like-new condition. Chicago Industrial offers one of the best varieties of used Linde lifts anywhere. Our Rockdale, IL facility is home to a massive selection of material handling equipment, with over 500 models typically in stock at all times. Browse our online inventory to find a cost-effective used Linde forklift that meets the specific requirements of your applications and work environments. Whether you need a Linde electric forklift in Chicago, IL or a fleet of order pickers in Ontario, Canada, we have you covered. We’ve helped companies like yours achieve its goals by shipping new and used lift trucks to locations across the United States and around the globe. Let us know what you need and where you need it, and we’ll work out the most effective and efficient way to get it to you fast. Chicago Industrial partners with Direct Capital, a nationwide lender dedicated to helping businesses working in all industries access the material handling equipment necessary for success. You can apply for flexible financing rates in just a few minutes using an easy online system, and you’ll hear back within 24 hours on whether or not you’ve been approved. Chicago Industrial specializes in top-quality material handling equipment solutions at competitive prices. Shop our online inventory to find the models you need and get in touch today. Our knowledgeable representatives will be happy to answer all of your questions and provide a free, no-obligation quote.